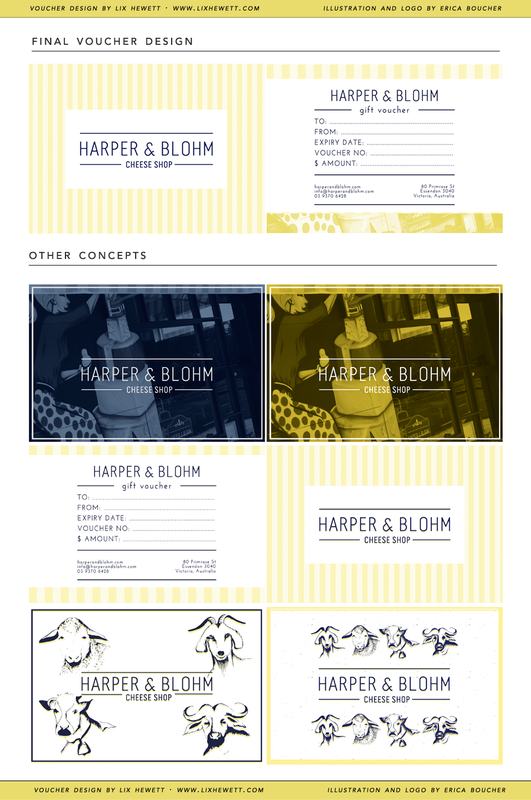 This one’s from about a month ago — Olivia from Australia-based cheese shop Harper and Blohm contacted me through Etsy looking for a gift voucher design. She sent over her existing branding, including a photo of her shop and animal illustrations by Erica Boucher, and today I’m showing you guys what we came up with. You can find more of my design work under this category on my blog. If you like it, feel free to browse what I’ve got on offer on my Etsy shop and get in touch — I’d love to hear from you!